The enduring appeal of spies and their technology, codes and mysterious ways are explored in this engaging series of four colorful books. Each explores a different aspect of the spy trade, interspersing historical tidbits with tales of spies from popular culture and contemporary movies. Other titles in this series include: Secret Agents, Spy School, and Top Technology. 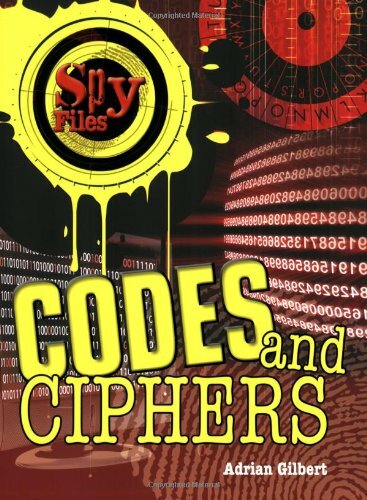 Codes and Ciphers covers everything from Caesar's alphabetic substitution system and Morse code to the Enigma machines and microdots of World War II. Sidebars explain how to create a cipher, how to craft invisible ink messages using wax and crayons and how to make a one-time pad.